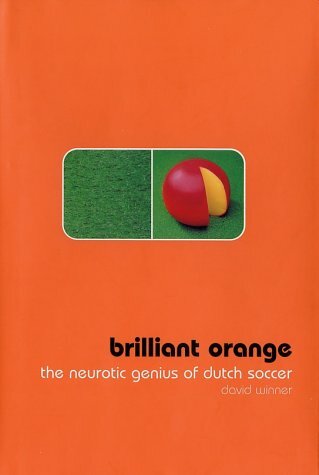 The introduction begins with : ‘If this is a book about Dutch football, at some stage you’ll probably wonder why it contains pages and pages about architects, church painters, rabbis and airports, but barely a word, for example, about PSV and Feyenoord. A very fair point. And the reason, I suppose, is that this is not so much a book about Dutch football as a book about the idea of Dutch football.’ Indeed. Brilliant read. Johan Cryuff, the architect of ‘Total football’ who said ‘There is no medal better than being acclaimed for your style’ is very much a part of this book. The book has chapters that are not numbered in sequence to go with the idea of ‘total football’ where everyone plays every position more or less. The book is very well researched and a brilliant read even for people not in awe of the game. It sure helps if you know your football. And, it is a must read for anyone going to the Netherlands. I sure will keep it handy when I do. ‘Albert Camus, spent time in the Dutch capital during the 1950s and found it hatefully dreary. ‘For centuries, pipe smokers have been watching the same rain falling on the same canal’ he wrote in ‘The fall’, published in 1955. Also from the book. No reason why I chose to put it here though. Quoting from the book again from a chapter ‘the eleventh commandment’ ‘in 1977 the respected Yugoslav coach Tomaslav Ivic won the championship with Ajax and was promptly sacked. His crime? Making Ajax play defensive football. For the same reason we need to get rid of Wenger today. The gunners are not winning silverware anyways for quite some time now. They have even stopped playing attractive soccer. Sigh! David Winner has also written the brilliant ‘Those feet’, which goes into the origins of the game of football. I did review that book a couple of years earlier. Recommended reading. And, here’s to a very happy new year 2012. Sorry for the real long break. Cheers!